There are many different ways to help raise funds and awareness for the fight against breast cancer. From Tough Mudders to marathons to bungee jumps, there’s an activity to suit every taste. And you don’t have to be a fitness adventurer to find an incredible fundraising experience. For those of us who aren’t fitness adventurers, a fundraiser walk is a great way to take steps to support awareness, treatment, and research. But be warned, lighter physical activity doesn’t mean these events are for the faint of heart. From 5K strolls to 60-mile treks, these fundraising events are likely to be their own reward for your efforts. The Susan G. Komen Race for the Cure may be the best option for newbie walkers looking for a fun way to test their laces. This 5K run/walk series takes place at over 150 locations all over the world, and claims to be the world’s largest and most successful education and fundraising event for breast cancer. In addition to raising awareness and funds, these events seek to honor breast cancer survivors and remember those who have been lost to it. Another option for walkers who want to make an impact while walking shorter distances is the Making Strides Against Breast Cancer. This walk series is organized by the American Cancer Society in nearly 300 communities all over the country each year, with each event covering no more than three to five miles. Funds from these races support not just awareness but also cutting-edge research and around-the-clock support for those affected by breast cancer. If a morning of walking just isn’t enough, you may find multi-day walk events more fulfilling. You may want to give the AVON39 a try. This walk covers 39.3 miles over two days with a call to walkers to take a stand and fight breast cancer head-on. These weekend-long events are not for the faint of stride, and promise an inspiring journey in major cities all over the United States. Proclaimed to be “the biggest impact you can make” in the fight against breast cancer on its website, the Susan G. Komen 3-Day is more than a fundraiser—it’s a movement. This walk takes you on a journey of 60 miles as you connect with other walkers. Described in testimonials as a “calling,” this walk is intended to not just offer a little fitness, but an inspirational experience. Whether you’re taking your first lap or are ready to take on the world, there’s a race for you—and every step matters. These are only a few of the most popular options for walkers seeking to support breast cancer. Check out events in your community to learn about more ways to give back. Every two minutes, another woman is diagnosed with breast cancer in the United States, according to the Breast Cancer Research Foundation. The good news is, there’s tons of ways to show your support and help raise funds, so we can all fight back to reduce the number of breast cancer victims. One of the best ways to do it is with a race. Races raise funds while also inspiring people to get in shape and enjoy the outdoors—an especially great goal in these sunny summer months! As the largest network of breast cancer awareness events across the nation, it’s likely that at least one of the 300 annual event locations is somewhere near you. These noncompetitive three- to five-mile walks are an uplifting experience focused on community and support. By participating, you can help breast cancer patients and support education and prevention efforts. This two-day, 39.4-mile walk isn’t kidding when it describes the race as a challenge. But AVON promises that along the way, “you’ll crush fear, doubt and breast cancer.” Not a bad trade-off for one weekend of effort. This summer, races will take place in Boston, Chicago and San Francisco, with even more walks coming to additional locations across the country throughout the year. Branded as “the journey of a lifetime” and “the biggest thing you can do to help end breast cancer forever,” the three-day walk organized by Susan G. Komen is much more than a race—it’s a 60-mile, soulful retreat. Many who have made the journey attest to the incredible bonds they forge along the way. 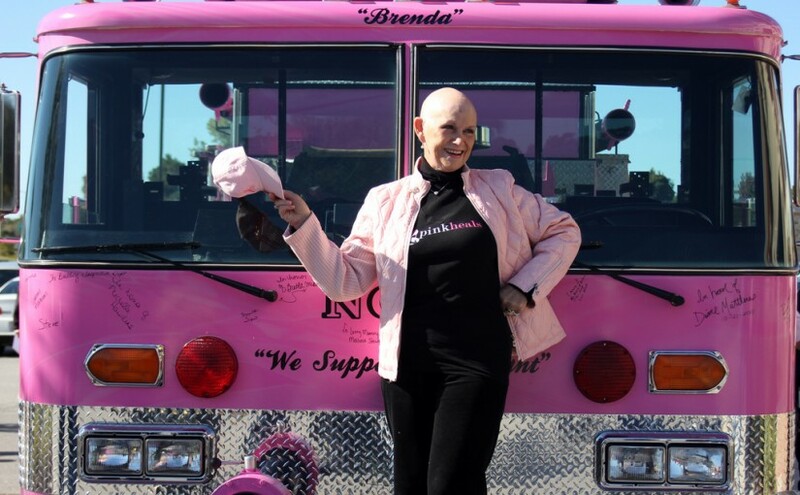 If you want to fight breast cancer and gain inspiring connections along the way, this one’s for you. If you’re looking for a faster pace or shorter time investment, try Susan G. Komen’s Race for the Cure 5K run/walk. The popular race has been around for over 30 years and has grown to include over a million participants each year across four continents. The race welcomes people of all fitness levels, and has locations all over the country. If you want to go all-in for an extreme fitness challenge, sign up for one of the Tough Mudder 10-12-mile obstacle courses. It’s not specifically affiliated with a breast cancer organization, but you can make sure your registration supports one by registering to run for Breast Cancer Care. Regardless of your pace, goals and fundraising style, there’s a breast cancer race out there for you. Along the way, you’ll make new friends, get in better shape, and enjoy the sunny summer weather. When you run to support breast cancer or other causes, everybody wins.